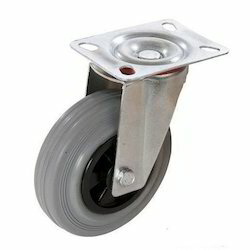 We have grown our strength in providing Medium Duty Caster Wheels to our clients at a reasonable cost. 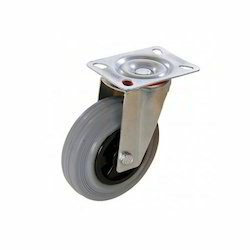 These wheels and casters for trolleys are available for medium duty work. Available in various colours and materials, these wheels and casters can also be provided in custom specifications. We manufacture Rubber Caster Wheels with Single Roller Bearing which are extensively used for a domestic and general purpose. The roller bearing helps these rubber casters to provide easy mobility of the products. 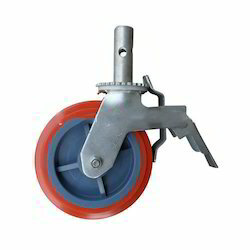 Obtain from us smart range of Soft, high-quality Rubber Caster Wheel made from the durable compound withstands wear and abrasion while resisting oil, grease and most chemicals. Polyurethane Wheels with Double Ball Bearings are generally used in hotel industry. These wheels with double ball bearing come with dust guard that protects it from dust. It also provide higher capacity to withhold your weight and helps in various usage. Natural Rubber Caster with Roller Bearings can also be used for various medium-duty industrial trucks, trolleys, trash and rubber to carry various weight. Made of natural rubber to withhold appropriate weight capacity these are used for commercial applications. 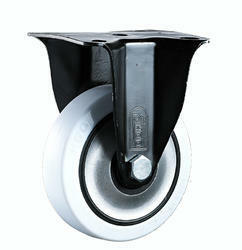 Looking for Medium Duty Caster Wheels ?